The North Face has introduced Futurelight, a new breathable waterproof material set to revolutionise the future of technical fabrics. Developed using innovative nbanospinning technology and sustainable practices, it is the most advanced breathable-waterproof outerwear material available. Nano-level holes allow high porosity while maintaining waterproofness. The nanospinning process used to create Futurelight fabric, has allowed the brand's designers to add unprecedented air permeability into the membrane of a fabric for the first time. The process creates nano-level holes, allowing for incredible porosity while still maintaining total waterproofness, letting air move through the material and provide more venting than ever before. Additionally, nanospinning gives designers the ability to adjust weight, stretch, breathability, durability, construction (knit or woven), and texture to match athletes' and consumers' activity or environment. Designers can customise the fabric for specific usage, for example, by increasing breathability in garments for aerobic pursuits or increasing protection for harsh, wet climates. The ability to adjust these factors in fabric construction is unprecedented in apparel, equipment and accessories. "Disruption is one of the key elements in the DNA of the North Face brand. It is what our company was founded on and, to this day, we still believe that disruption is the key to future growth," Mellin said. "Our teams are constantly thinking about the future of our product technology portfolio and how we can push the limits to create the next best innovation for our athletes and consumers, which is how Futurelight came to life and why it will forever change what consumers expect from their product." Futurelight fabric was born in the mountains, inspired by the North Face global team of athletes looking for increased performance and breathability in their waterproof gear. The material has since been tested extensively by the brand's global athlete team and is expedition proven through use in the highest peaks and harshest environments, including the Himalayas' Lhotse and Everest. While testing Futurelight fabric the North Face team alpinist, Jim Morrison climbed, and skied three 8000 meter peaks, including Everest, Cho Oyu and the world's first descent of Lhotse Couilor with his partner Hilaree Nelson. 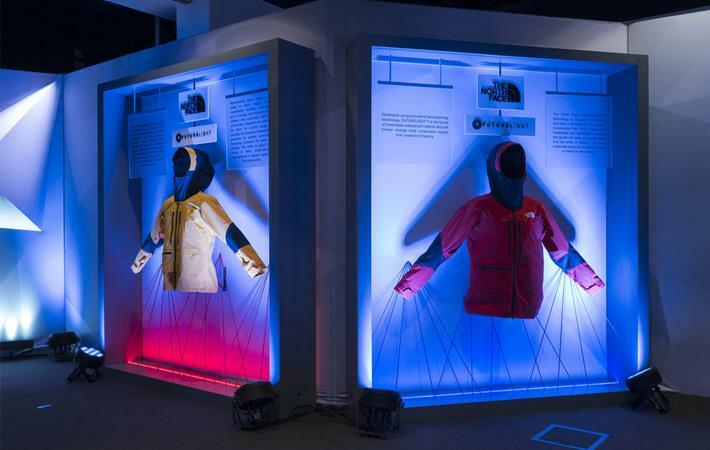 Beyond the North Face athletes internal testing labs, the brand worked with third-party independent experts including UL (Underwriters Laboratories) a world-renowned safety certification testing organisation, to push the limit of the Futurelight fabric. UL predominately tests waterproofing for the National Fire Protection Association (NFPA), an organisation that certifies first responder gear for firefighters, EMS and hazmat responders. The test methods developed were 50 per cent more stringent than the current standard for the Outdoor Industry. "The liquid integrity test for Futurelight is even more extreme compared to the NFPA testing that UL conducts, proving Futurelight is not only totally waterproof, but also fit for the harshest expeditions the outdoors has to offer," Michael Seward of Underwriters Laboratories said.